Nike’s Air Pippen 1 made quite the comeback this year courtesy of KITH, as Ronnie Fieg’s streetwear imprint grabbed a hold of the throwback hoops classic and remixed it in a pair of statement pony-haired iterations. 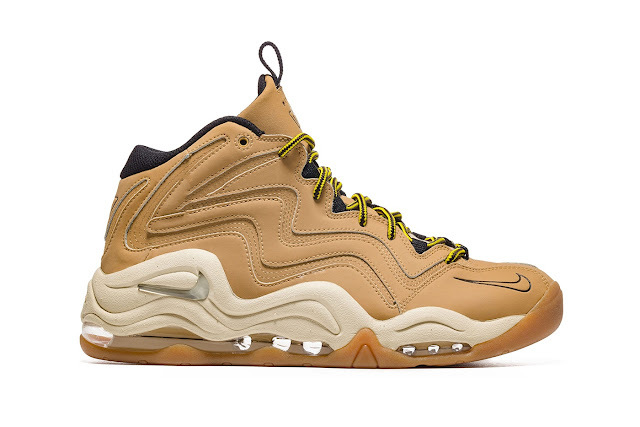 It looks like Scottie Pippen’s signature sneaker is back in the spotlight, this time sporting a wheat-inspired boot-style silhouette. An off-white Air-infused midsole and a gum outsole help accentuate the core tan color scheme, as does the faint hits of black found on collar, lace loops and Swoosh branding outline. Omen x Ari Lennox "Phone Home"